Several aviation safety procedures have already been adopted by healthcare. We have a lot to learn from the aviation industry. Are you nervous before you fly? Don’t be. Only one passenger per 10 million flights dies in a plane related incident. Are you nervous before you go into the hospital? You should be. There is one healthcare – caused death per every 100 to 300 hospital admissions. What have patient safety procedures we already incorporated? 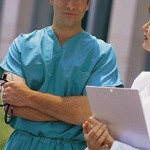 Before a patient goes to the operating room, a nurse uses a checklist to verify certain information has been gathered. These preoperative checklists are not standardized from facility to the facility unless the hospital is part of a chain. This includes preoperative testing, signed operative consent, history and physical is completed, and so on. If there are missing items, the nurse is expected to follow up on them. In some instances, that may mean surgery is postponed until the issues can be addressed. For example, the nurse will ask the patient when was the last time he ate or drank. If he had breakfast in the morning before surgery, his surgery may be delayed because of the risk of you vomiting while under anesthesia. Recently, an attorney contacted Med League about a case in which an abnormal finding on a chest x-ray was not followed up on. 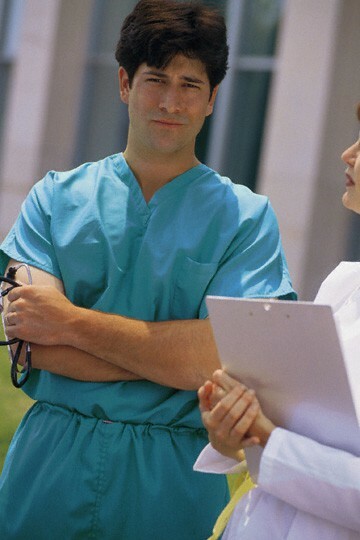 His question: Did the preoperative nurse have an obligation to bring it to the attention of the surgeon? Our medical expert’s response: the physicians are obligated to read the results of the study. The nurse is obligated to make sure it is on the chart. The World Health Organization recommends the use of a challenge and response checklist. This means that one person asks the question and other person answers. See the video for an explanation of this type of surgical checklist. Healthcare personnel is increasingly using checklists to prevent a vital detail or procedure from being overlooked. Checklists have to be accurately and attentively filled out. Routine aspects of care can become rote, followed without thinking, and subject to error. See Atul Gawande, MD’s book, The Checklist Manifesto, for more information. Also, see this company for unique wall mounted boards that define each step in a procedure and provide a way to show it has been completed. Med League Legal nurse consultant and Medical expert witness can help the attorney in this type of situation. Contact us for your next case.